This news shouldn't come as a surprise to anyone who has been paying attention. X-Men: Apocalypse is set to take place in the 80s, and will serve as the final chapter in the X-Men: First Class trilogy. It will feature newer, younger versions of Jean Grey, Cyclops and Storm alongside returning favorites Beast, Mystique and Quicksilver. And it will feature the younger versions of Professor X and Magneto. 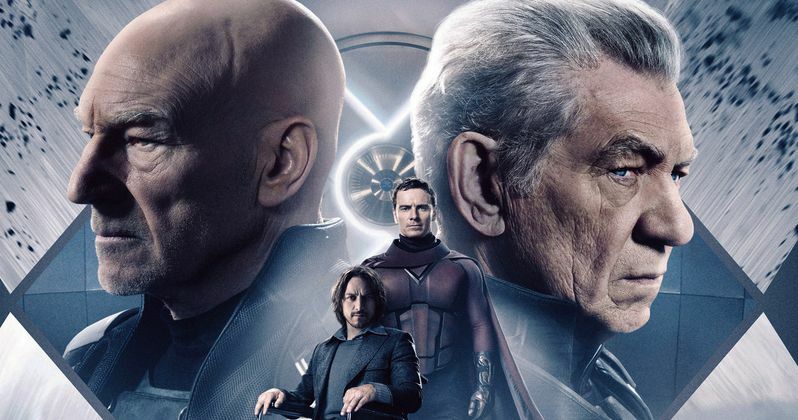 So of course, Patrick Stewart and Ian McKellen, who play older versions of these characters, will not be returning for this latest franchise sequel. Patrick Stewart himself confirmed the news to Larry King. That doesn't mean he won't show up in one of the other spinoffs planned, with Deadpool and Gambit both coming in 2016. While he doesn't say he is appearing in either film, he does reveal that he is maintaining a close connection to the franchise. "I was learning quite a lot more about it last night. It is going to be looking very much at the earlier lives of all our characters. And so I don't think we'll be making an appearance." Oscar Isaac is confirmed to play the title villain in X-Men: Apocalypse. X-Men: First Class cast members confirmed to return include James McAvoy and Michael Fassbender as the young Professor X and Magneto. Jennifer Lawrence is back as Mystique, with Nicholas Hoult reprising his role as Beast. While Evan Peters hasn't been confirmed, it is expected that he will return as Quicksilver. The movie begins shooting in Montreal this April for a May 2016 release.